Stuttgart is the capital of the state of Baden-Württemberg. The Neues Schloss overlooks the Schlossplatz square. The palace was built in late Baroque style and its construction was completed in 1807. The palace was once home to ancient kings and it is now used by the state government. The Schlossplatz is the largest square in Stuttgart Mitte. It houses the Neues Schloss. The Altes Schloss is located near the Schlossplatz. 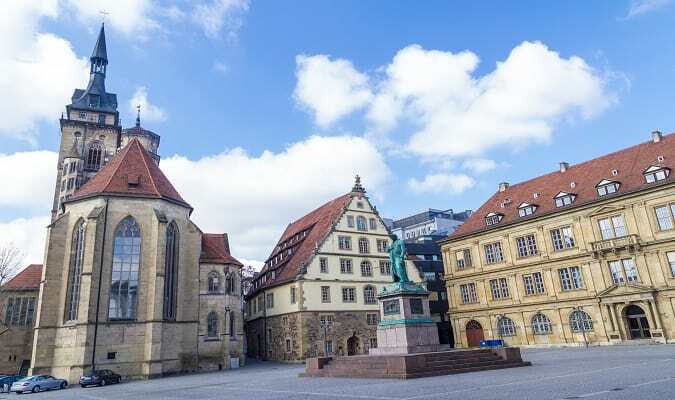 It is home to the Württemberg Landesmuseum with its beautiful collection of medieval art, musical instruments, clocks and Württemberg crown jewelery. The Staatsgalerie is home to one of Germany‘s finest art collections and also one of the most visited museums. It is composed of 3 buildings. The Mercedes-Benz Museum has exhibitions related to the development of automobiles. More than 160 vehicles are on display and are the star of the visit. The Grabkapelle on the Württemberg hill was erected by King Wilhelm I in memory of his beloved wife Katharina, who died young. The location offers spectacular views of the city. The Schloss Solitude is the most ambitious and personal creation of Duke Carl Eugen. From the palace you will have magnificent views of the city. The Wilhelma Zoo attracts thousands of visitors every year. The zoo has more than 8000 animals and about 1000 species. The Königstrasse is a street in Stuttgart with many nice shops, boutiques, galleries, department stores, cafés and restaurants. The Schillerplatz is located in the old town and features a monument of Friedrich Schiller, one of the country’s most famous poets. Near the square the Rathaus and Marktplatz are located. 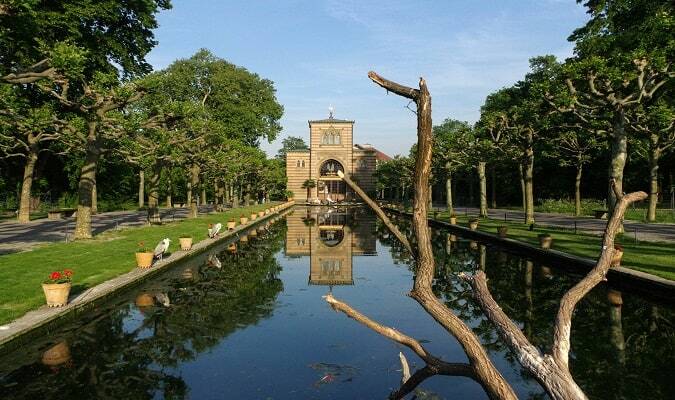 The Killesbergpark is an urban park located in the north of the city. The park has 123 acres. The Porsche Museum has an exhibition with more than 80 cars in an area of 5,600 square meters. Stiftskirche is the main Evangelical Lutheran Church in Württemberg. It is located in the center of the city. The church was heavily destroyed during World War II. In 1950 the church was restored. The Schloss Ludwigsburg is located 12 km from Stuttgart. 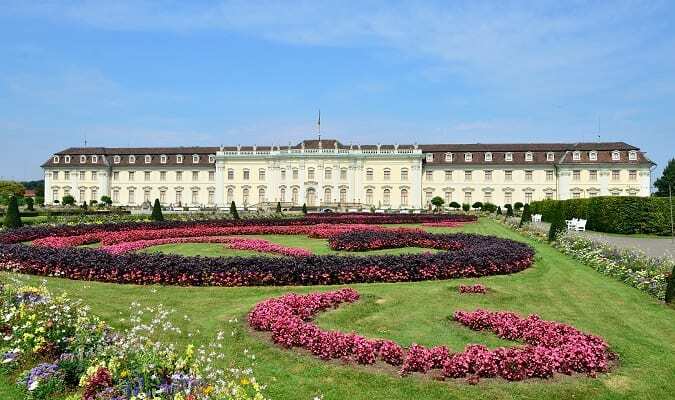 It is the largest baroque palace in Germany and one of the largest in Europe. 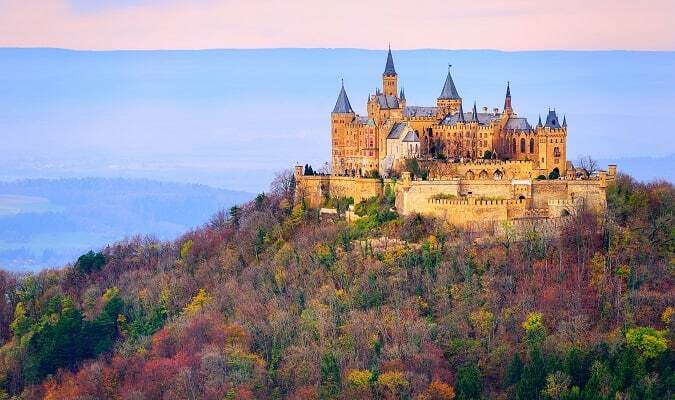 The Hohenzollern Castle is located 67,8 km from the Central Station. Several concerts, open-air cinema and one of the most beautiful Christmas markets in Germany, make the castle an attractive cultural event all year round. 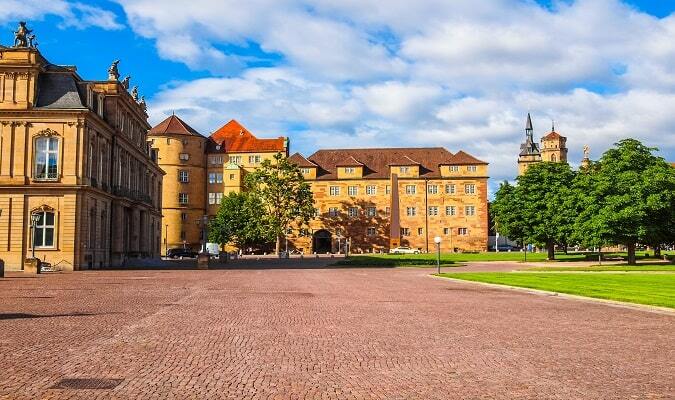 The Mercure Stuttgart City Center is located a few minutes from the Stuttgart Central Station and shopping area. 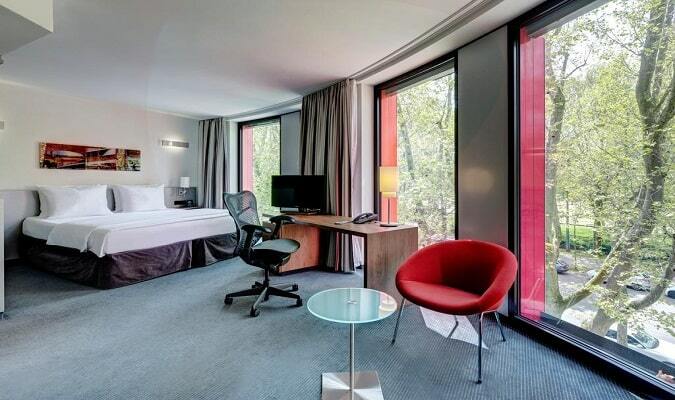 Rooms are equipped with a TV, work desk, safe. 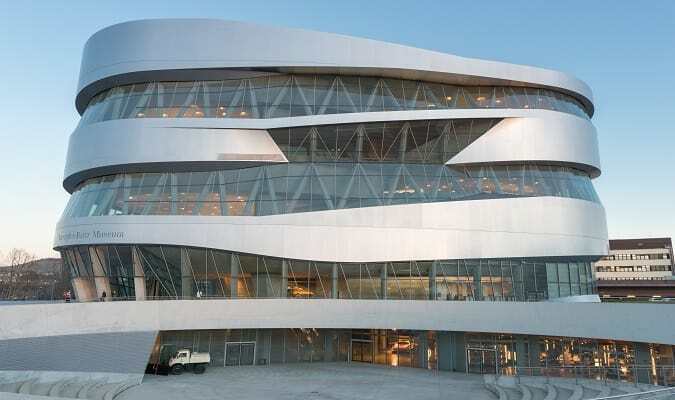 The Hilton Garden Inn Stuttgart is located near the Mercedes-Benz Museum. 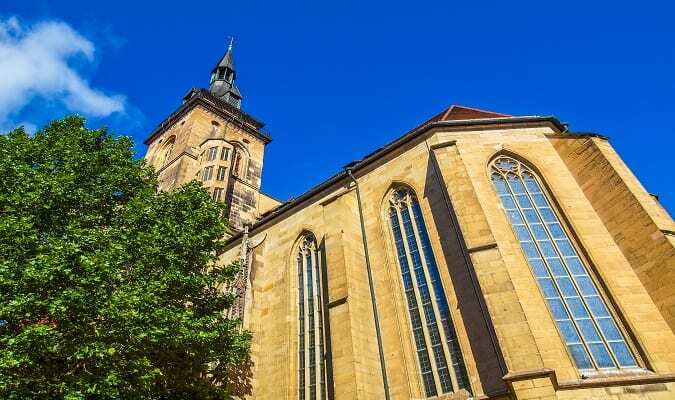 The Dormero Hotel Stuttgart is located 6,9 km from Stuttgart Central Station. The Königsbau Passagen is located 240 meters from the Neues Schloss. The Milaneo is located 3 km from the Neues Schloss. Brands: Bonita, Levi´s, Mango, Pandora, Zara, Zara Home. Das Gerber is located 1 km from the Neues Schloss. Brands: Camp David, Vero Moda, Only, O Bag. Stuttgart has easy train access from various cities in Germany. Famous cities nearby: Frankfurt, Heidelberg, Würzburg.